We are excited to announce that Encryption At Rest with Azure Site Recovery (ASR) which was in Private preview earlier, is now Generally Available (GA). 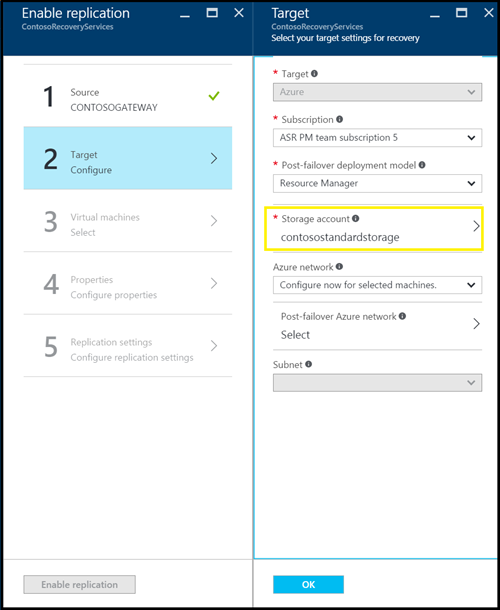 This follows the recent announcement from the Azure Storage team on the General Availability of this feature. With this feature, you can now replicate your on-premises data to storage accounts with Encryption enabled. Encryption can be enabled via the portal on the storage account’s Settings pane as shown in Figure: 1. 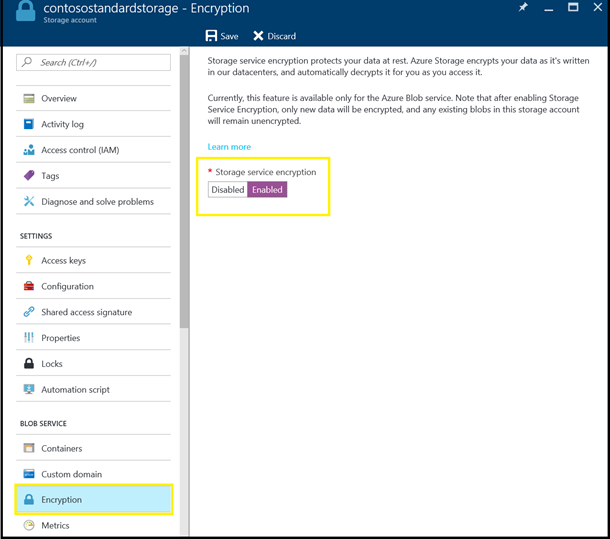 If you want to programmatically enable or disable Encryption, you can use the Azure Storage Resource Provider REST API, the Storage Resource Provider Client Library for .NET, Azure PowerShell, or the Azure CLI, details of which can be found in the feature overview from the Azure storage team. After enabling encryption, this storage account can be specified as a target for replication while setting up protection for your workloads using Site Recovery as shown in Figure: 2. All the replicated data would now be encrypted prior to persisting to storage and decrypted on retrieval. Upon a failover to Azure, your machine would run off of the encrypted storage account. Hyper-V hosts without System Center VMM. For a complete understanding of how SSE works, please refer to the detailed SSE documentation from the Azure storage team.